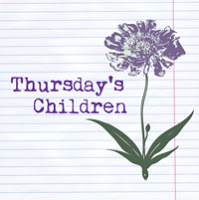 John Krissilas / Writer, Thinker, Storyteller: Thursday's Children: Paper! I used to be an all-digital kind of guy. Using Word, it felt so easy to create something out of nothing. Type a few keys, hit return a few times, and before you know it, you've got a chapter. It also felt so easy to edit and change things too. You can cut, paste, move things around, experiment, and "thesaurus" something to death. I would only turn to paper near the final stages of finishing something, to proof what was already done. Slowly but surely, I'm becoming a paper kind of guy. I use paper to create, to brainstorm, to jot down notes, ideas, plot points and details. It helps me plan, develop dialogue, and even workshop characters, scenes, and passages. It invites messiness, scribbles, and half-baked ideas that are quickly crossed out. And all this before I ever press finger to key. It's also become key to the editing and revising process. I can experience the words as they were meant to be experienced: leaning back on the couch instead of hunched over a keyboard at a desk. It gives me a feel for flow and pacing, and a sense of clarity when it comes to details easily lost when skimming through a Word document. I now turn to paper more often than ever—when creating, revising, and final proofing. It has become, in a sense, my muse! How often do you use paper when writing? Do you print early and often?